When my boys were younger, we read more than a few of the Goosebumps books together. When my youngest son (definitely not a horror fan now that he’s older), was in middle school, he still asked me to read one of the ‘scary’ parts to him because he didn’t want to read it alone. R.L. Stine books haven’t been in our house for several years, so I was excited to have an opportunity to read his newest book. Party Games is in the Fear Street series and even though I hadn’t read other books in this series, it’s easily a stand alone. This was a quick, suspenseful, and fast-paced read. It started off with a great setup – teens alone on an island, no cell phone reception, no way off the island – then people start dying. 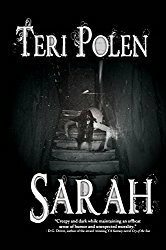 It had a good mix of characters, with a mystery, some spooky moments and surprises along the way. This book is listed as YA, but the writing style, predictable twists, chapter ending cliffhangers, and junior high-ish romance place it squarely in the MG category. Not that there’s anything wrong with that, but I think older YA readers would lose interest fairly quickly, unless reading for nostalgic reasons. 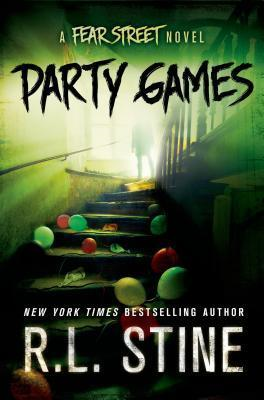 Party Games is scheduled for publication September 30, 2014 and would be a wonderful Halloween read for the younger spectrum of the YA crowd. 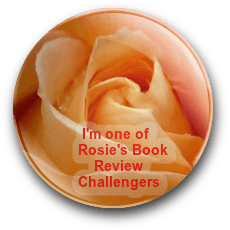 On several Goodreads reviews, I noticed people saying the same thing – they’d enjoyed them when younger and read the newest one for nostalgia’s sake. I didn’t know Fear Street was a series when I started this book, but it was a fun read. More to add to your TBR pile!